The saga of Abraham, Sarah, and Hagar is the tale of origin for all three monotheistic faiths. Abraham must choose between two wives who have borne him two sons. One wife and son will share in his wealth and status, while the other two are exiled into the desert. Long a cornerstone of Western anxiety, the story chronicles a very famous and troubled family, and sheds light on the ongoing conflict between the Judeo-Christian and Islamic worlds. How did this ancient story become one of the least understood and most frequently misinterpreted of our cultural myths? Gordon explores this legendary love triangle to give us a startling perspective on three biblical characters who - with their jealousies, passions, and doubts - actually behave like human beings. 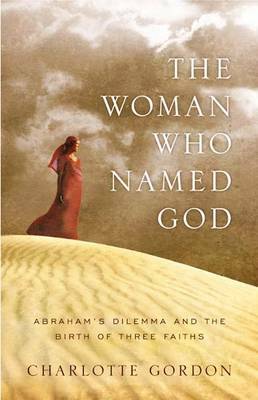 THE WOMAN WHO NAMED GOD is a compelling, smart, and provocative take on one of the Bible's most intriguing and troubling love stories.